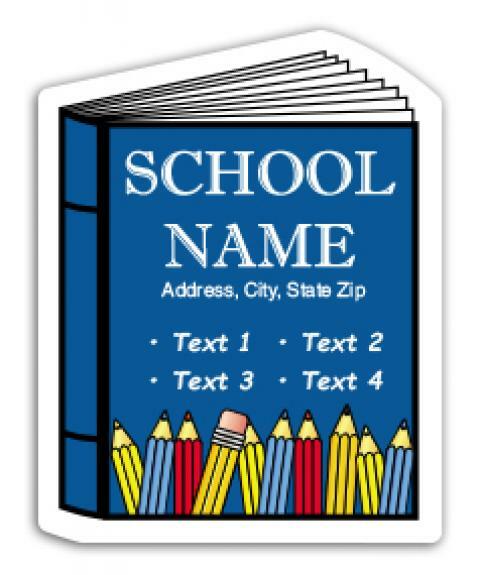 2.25x2.87 Custom Printed Book Shape School Magnets - Outdoor & Car Magnets 30 Mil are excellent in giving great exposure for schools in the outdoors. It is always a good idea to add these custom school magnets specially designed for outdoor conditions, to the promotional campaigns in order to increase the reach. Order these printable magnets with UV safe, water repellent and fade resistant features today and grab our free shipping and free full-color printing facilities. 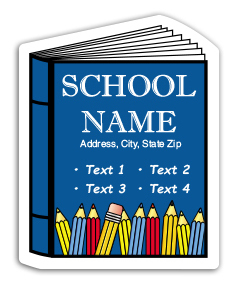 Request a quote now to get amazing discounts on wholesale 2.25x2.87 Custom Printed Book Shape School Magnets - Outdoor & Car Magnets 30 Mil.